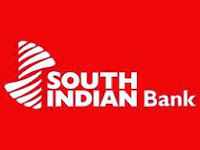 About Company: One of the earliest banks in South India, "South Indian Bank" came into being during the Swadeshi movement. The establishment of the bank was the fulfillment of the dreams of a group of enterprising men who joined together at Thrissur. so as to reach on or before 05-11-2013.